HYDERABAD|BANGALORE: Skyroot Aerospace, a Hyderabad-based startup backed by CureFit founders Mukesh Bansal and Ankit Nagori, is developing a rocket which can be assembled and launched in a day that will be used to hurl small satellites into space, eyeing a slice of the global market for tiny satellite launches that is expected to grow over the next decade. 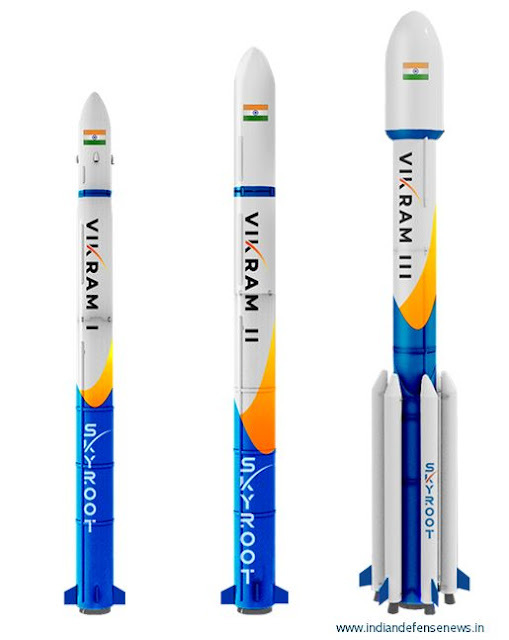 Skyroot, founded by former Indian Space Research Organisation (ISRO) scientists Pawan Kumar Chandana, Naga Bharath Daka and Vasudevan Gnanagandhi, expects to demonstrate its first rocket by 2021, which it says could potentially reduce launch costs by a third. The firm is also developing a family of rockets named after Vikram Sarabhai, the founder of India’s space programme. 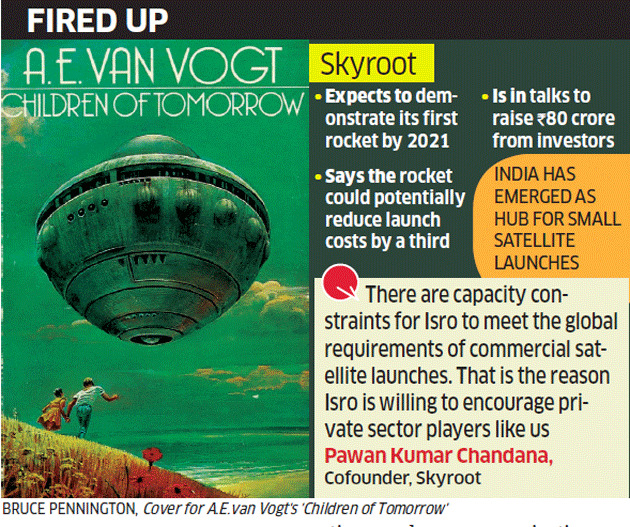 “Skyroot has one of the best space-scientist teams in the country and the wherewithal to design and build rockets for low-earth launches to begin with, and eventually geostationary satellites also,” Mukesh Bansal told ET. India currently does not allow private firms in the space sector, but is looking to open up through the proposed Space Activities Bill 2017. The draft bill recommends private firms in space programmes, including building rockets, satellites and launches, both for Indian and foreign customers. “Looking at the draft bill, we have quit ISRO to start our own venture,” said COO Naga Bharath Daka. Skyroot says it is in talks with the Defence Research and Development Organisation (DRDO) to use the latter's test facilities to demonstrate the rocket. An ISRO official, who did not want to be named, said private ventures can take off once the draft bill is approved by Parliament. For now, the policy does not permit such ventures. By 2027, around 6,500 small satellites are set to launch for various applications such as communications, remote sensing and navigation, according to a November 2018 study by Northern Sky Research, a US space researcher. Last week, Amazon founder Jeff Bezos said the e-commerce giant was working on project Kuiper to put 3,236 satellites in space to provide high-speed broadband in remote regions of the world. India has emerged as the hub for small-satellite launches, with the country’s workhorse, the Polar Satellite Launch Vehicle (PSLV), ferrying small satellites into space. In 2018, around 600 small satellites were carried to space, with over a quarter piggybacking on the PSLV rocket. ISRO is also building a small satellite launch vehicle (SSLV), a launcher to put small satellites into orbit that can be assembled in two days. Agnikul Cosmos, incubated at IIT-Madras, is working on a semi-cryogenic rocket. Globally, there are at least 75 startups that are building launch vehicle technology.